Discussion in 'iPhone and iPad Games' started by touchy85, Dec 16, 2015. 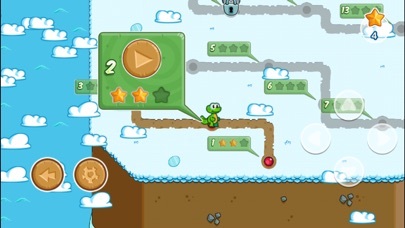 Millions of players played the first two parts of Croc's World! 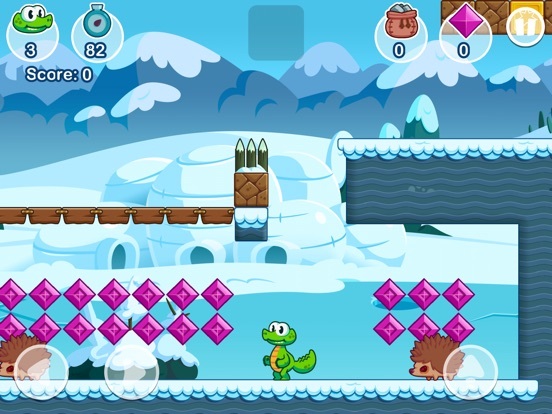 Now it´s time for "Croc's World 3"!!! 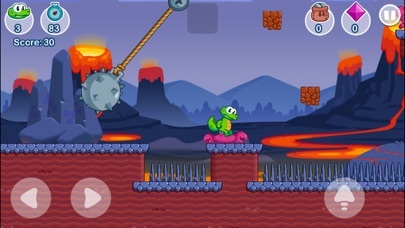 And in "Croc´s World 3" Croc brought along his friend Roodie. 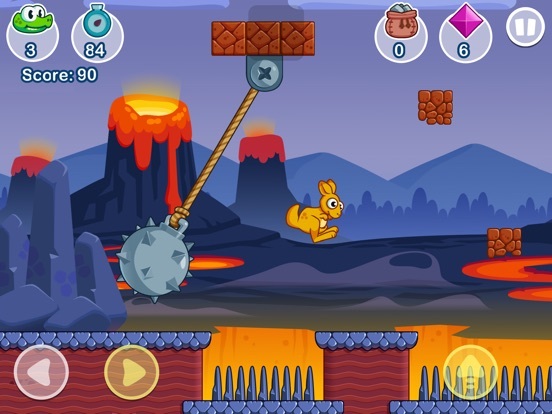 It also has 60 incredible levels and many challenging enemies! Collect a helmet to crush stoneblocks. Collect the stonebag to throw stones. Collect the special stonebag to throw auto-homing stones! Collect special items like "Firehelmet" (walk through fire) or "Shield" (Invincible for 10 seconds)! 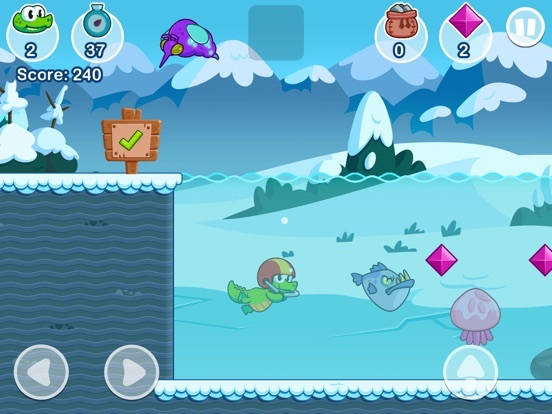 If you collect 100 diamonds you´ll get an extra life! 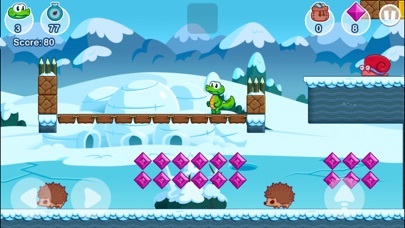 In "Croc´s World 3" Croc brought along his friend Roodie. 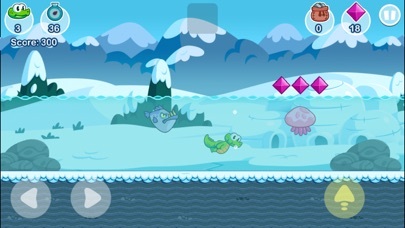 It also has 60 incredible levels and many challenging enemies! 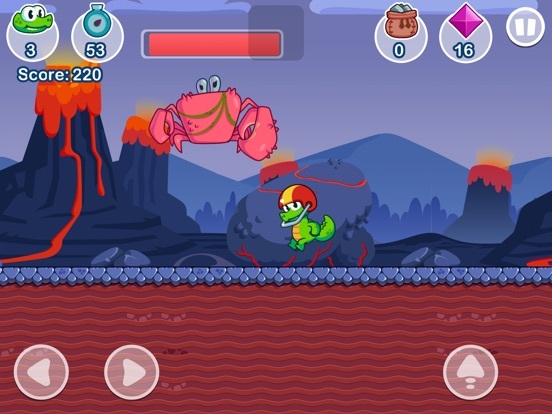 It features: + 60 incredible levels + Nice HD-graphics + 2 Playercharacters + 2 different themes + many challenging enemies + 4 Endbosses Instructions: Jump and run through the levels and dodge all enemies. Collect a helmet to crush stoneblocks. Collect the stonebag to throw stones. Collect the special stonebag to throw auto-homing stones! 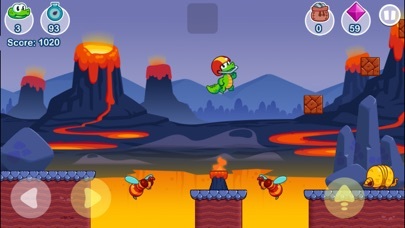 Collect special items like "Firehelmet" (walk through fire) or "Shield" (Invincible for 10 seconds)! 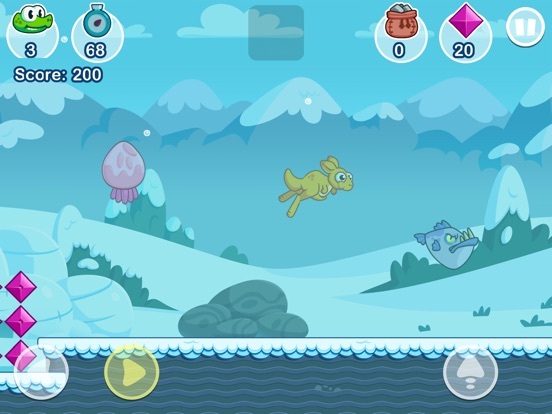 If you collect 100 diamonds you´ll get an extra life! Hi there! 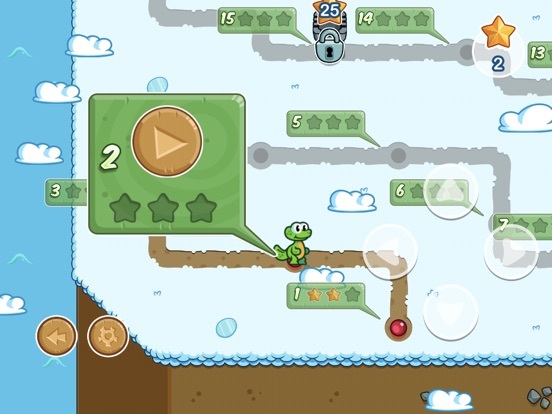 We wanted to show you our newest game called "Croc's World 3" which is a nice jump'n'run inspired by the great games of this genre. 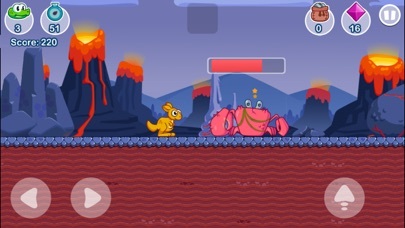 It´s playable on all iPhones and iPads. Please check it out and tell us what you think.